Martin Kersten, Research fellow at the Centrum Wiskunde & Informatica (CWI) is awarded the 2014 SIGMOD Edgar F. Codd Innovations Award, the most prestigious prize for researchers who have made innovative and significant contributions to database systems and databases. Kersten received the award June 26 2014 at the annual ACM SIGMOD/PODS Conference. The award is named after Ted Codd (1923 - 2003) who invented the relational data model and was responsible for the significant development of the database field as a scientific discipline. The Awards Committee recognizes the influential contributions of Kersten to the big data problem, his outstanding achievements in scientific research in advanced database architectures and his pioneering work in the realization of MonetDB. According to Kersten, the massive accumulation of data requires fundamental research and changes in database management systems. In MonetDB Kersten has pioneered the columns-store technology since 1993. Nowadays the database management system is the most widespread open-source column-store database management system that is worldwide used in more than 130 countries with over 300,000 downloads. Also CWI spin-offs Data Distilleries and VectorWise are based on the MonetDB technology. Data Distilleries, founded in 1995 was acquired by SPSS in 2003 and VectorWise, founded in 2008 was acquired by Actian Corporation (formerly Ingres Corporation) in 2011. In 2013 Kersten founded MonetDB Solutions, a consulting company specialised in business analytics. Since 2011, column-store technology as pioneered in MonetDB has found its way into the product offerings of all major commercial database vendors in relational database systems. Kersten joined CWI in 1985 where he established the Database Research Group. Since 1991 Kersten is also part-time professor at the University of Amsterdam. 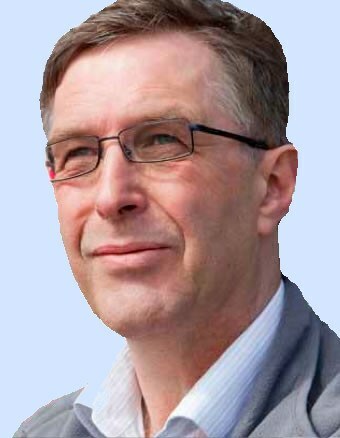 On 1 January 2011 Martin Kersten, was appointed CWI Fellow. Kersten published ca. 140 scientific papers and his work is honoured by several prestigious awards such as the 10-year VLDB Best Paper Award.